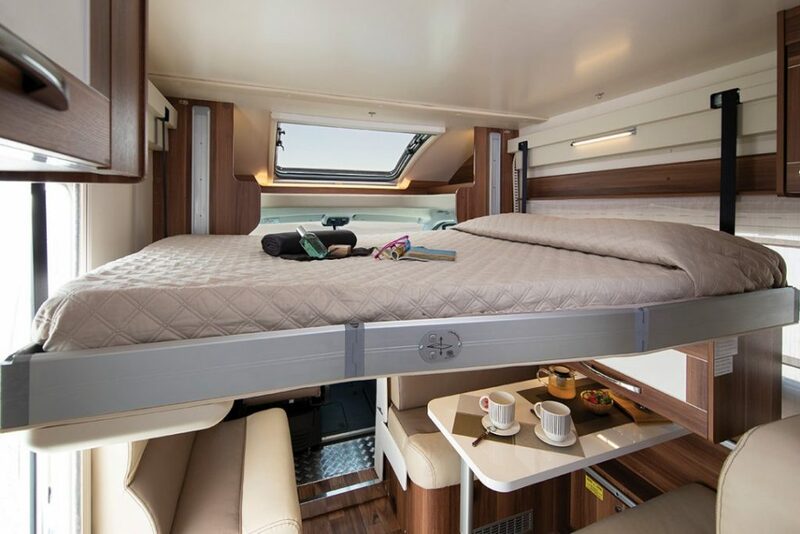 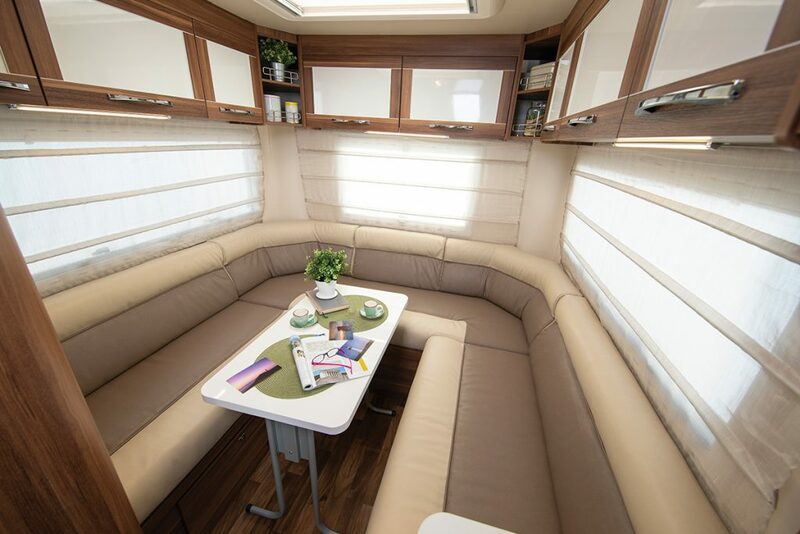 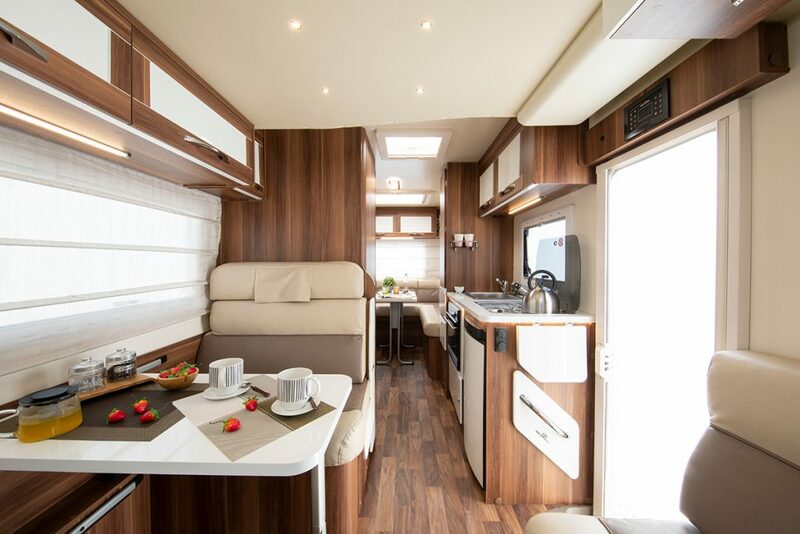 The spacious Lo-Line model Auto-Roller 747 3-6 Berth is a luxury motor home based on the Fiat Ducato chassis with 130bhp turbo diesel and 6 speed manual gearbox, that drives more like a car. 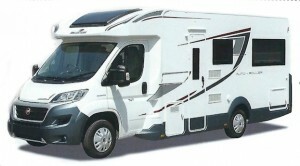 To complement this it has ABS brakes, cruise control, Electronic stability control, cab air conditioning and power steering. 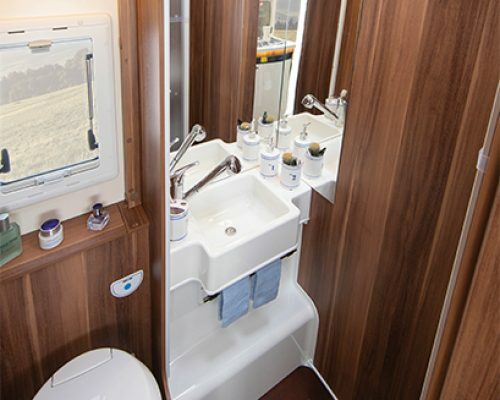 The 747 has a rear “U” shaped lounge, a central washroom with large wardrobe opposite then on to a fully equipped kitchen with double Dinette area offering 4 full seat belts plus a side facing bench seat and an electric drop-down double bed.